HETS seeks to help Hispanic students meet their academic goals in traditional and online learning environments. Thus, we have gathered a partial list of tools, websites to aid you in that objective. You can find resources to assist Hispanic prospect students and general public interested in pursuing a professional career in an online scenario. 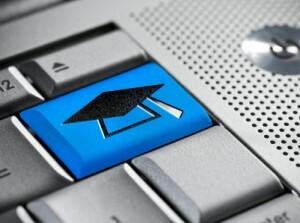 Some items refer to articles to guide students in their selection of an online program, strategies to determine readiness to study online, a few free online courses, and more. Most of these resources are free or have a nominal fee. If you have difficulties with your skills in English comprehension, take a look at Livemocha to learn English or other languages. Also, Reverso is a portal of linguistic tools including: translation, dictionary, spell-checker, conjugation, grammar, pronunciation feature (just click on a word or a selection of words or on the voice icon). A free online reference tool.